Everyone's heard of wind farms, solar panels, nuclear fusion and fuel cells. One of all of these have been in the news for years, promising to be the source of our future energy. None of them have yet proven to be a feasible replacement for oil. Conspiracy theorists, settle down. There are good reasons why none of these have done the job. But here's one you probably have never heard of. In fact, it sort of sounds like a substance that might power the Enterprise (besides dilithium crystals). 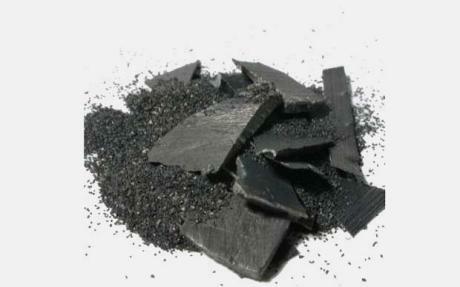 But it's a very serious contender that you'll likely hear a lot more about in the near future: Thorium. "If Barack Obama were to marshal America’s vast scientific and strategic resources behind a new Manhattan Project, he might reasonably hope to reinvent the global energy landscape and sketch an end to our dependence on fossil fuels within three to five years. "We could then stop arguing about wind mills, deepwater drilling, IPCC hockey sticks, or strategic reliance on the Kremlin. History will move on fast. "Muddling on with the status quo is not a grown-up policy. The International Energy Agency says the world must invest $26 trillion (£16.7 trillion) over the next 20 years to avert an energy shock. The scramble for scarce fuel is already leading to friction between China, India, and the West."